Use bulk SMS to raise brand awareness or just send SMS for your personal non-commercial needs. 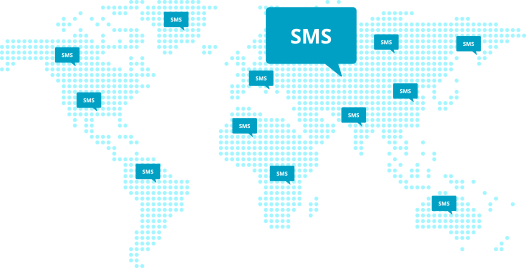 Automated SMS mailing reaches recipients at the speed of 200–500 SMS per second on 800 networks in over 200 countries around the world. Use any sender ID depending on your campaign. Sender IDs must be pre-approved for some countries. 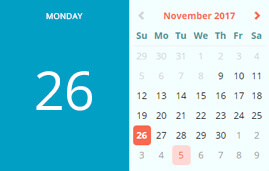 Bulk SMS sending can be scheduled for a particular time and date. You can also set up gradual sending of SMS over specific time frames. Add the recipient's name and other personal information to each SMS: your name or company's name, date of birth, discount code, and other. 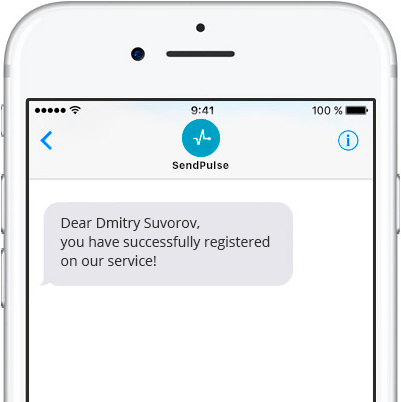 SendPulse is one of email services leaders that's why we offer low prices. Are you're going to send to a large subscriber base? OK, we can offer a plan at wholesale prices. Evaluate the results of SMS campaigns by analyzing the statistics on opening and delivering each message you send out. Use our API to integrate SMS messaging with your website, app, software or CRM system. Many developers have already implemented it to make notifications easy for business workflow. Put into practice the concept of effective communication with customers. Set up an automated flow of messages containing not only SMS but also email and web pushes. Create SMS subscription forms and integrate them into your website. You can customize the size, the background, font color and even upload your image or logo. Include unsubscribe link into your SMS. Let your audience know that they can unsubscribe whenever they like. 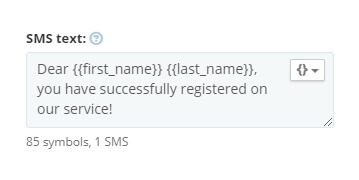 You can exclude phone numbers from recipients list. Use this feature when you don’t want to send message to the whole list.